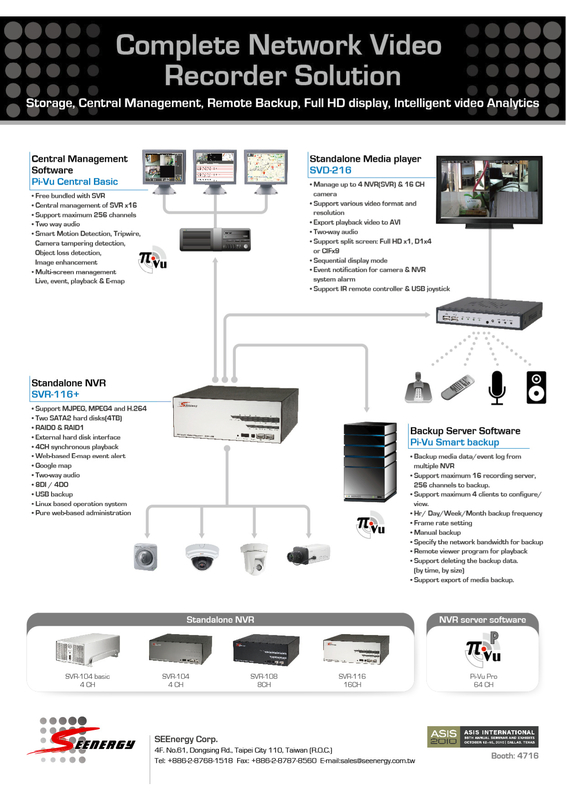 We will be showcasing our complete IP surveillance solutions this year at ASIS International in Dallas. 4. Intelligent Video functions from Pi-Vu Pro: motion detection, camera tampering detection, tripwire detection, object loss detection, loitering detection, and object counting. Come and visit us at Hall F, booth# 4716 and check out our complete IP surveillance solutions!! * Free central management software: First in the industry to bundle the CMS software with NVR, which offers “scalability out of the box”. As a result of the alliance with SystemK, SEEnergy now will be able to extend its brand recognition and offer its products in the Japanese market with efficiency and better quality of service. 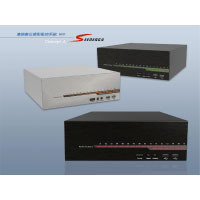 ” Japan has been one of the toughest places for new surveillance products to be approved and sold. Having the chance to work with SystemK to distribute our products is a true milestone for the company and we are excited to partner with SystemK to serve the Japanese market”. “SystemK has been active and well-known in delivering surveillance solutions for banks and retail stores in Japan, and this is exactly how we designed our products to be targeted for. We believe this will be a true beneficial relationship for the both ends.” Said Gordon Chen, the founder of SEEnergy. SEEnergy is a digital imaging software company that provides flexible solutions in intelligent imaging development and multimedia communication. SEEnergy strives to deliver true and vivid captured videos and images through the use of products that are designed for ease-of-use and excellent results. SystemK is a leading eBusiness Solution Provider founded in 1991, offering planning, design, and operation of enterprise information systems, communication networks and Internet/Intranet systems to corporate as well as government clients. It also provides advertisement planning, design and production services. With the rise of consumer interest due to the emergence of new technologies, more people show great interest in having the ability to monitor their homes or private properties. Small retail business owners are also seeking loss prevention solutions to secure their businesses as global retail shrinkage is estimated at 1.36% of retail sales, which translates to US$98 billion. 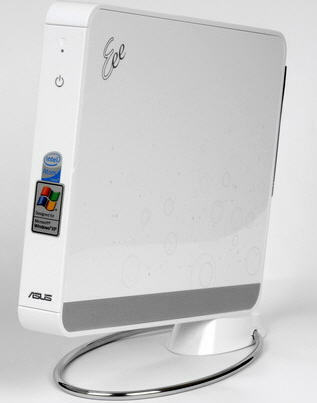 SEEnergy π-Vu Basic surveillance management software has been tested on Asus Eee Box and plays nicely with it. It’s capable of delivering 8 channel live videos with 4 channel video playbacks at the same time. This is an ideal solution for the home users and the small businesses owners which cost and performance are equally important. This also proves our surveillance software is as scalable and flexible to be run from a power-efficient PC to a server level workstation. We will soon be offering a standalone network video recorder (SVR-116) which is based on Linux operating system on a embedded platform. This product can be considered as the “standalone” version of our surveillance software “π-Vu Basic” but targeted at the SOHO markets with less cameras that need to be managed. It’s pure web based administration is best for users who constantly need to manage the cameras or check live views from a remote site. The system is currently at its final testing stage and we plan to roll out samples ready for evalutions and the launch is currently scheduled around mid. November. For more information about this product, you may want to check our corporate website for details. * We are also planning on releasing a “Lite” version of central management software specifically for SVR-116 shortly after its launch. Stay tuned!